This family-friendly Paris residence is located in the historical district, within a 10-minute walk of Pont Neuf, Les Halles, and Notre Dame Cathedral. Sainte Chapelle and Rue de Rivoli are also within 10 minutes. Paris Saint-Michel - Notre Dame Station and Pont Neuf Station are within a 5-minute walk. This smoke-free residence features a 24-hour fitness center, self parking, and dry cleaning. WiFi in public areas is free. Other amenities include laundry facilities, a 24-hour front desk, and multilingual staff. All 204 rooms feature kitchenettes with refrigerators, stovetops, microwaves, and dishwashers. Free WiFi and coffee makers are standard, as are flat-screen TVs with satellite channels. Housekeeping is available on request. 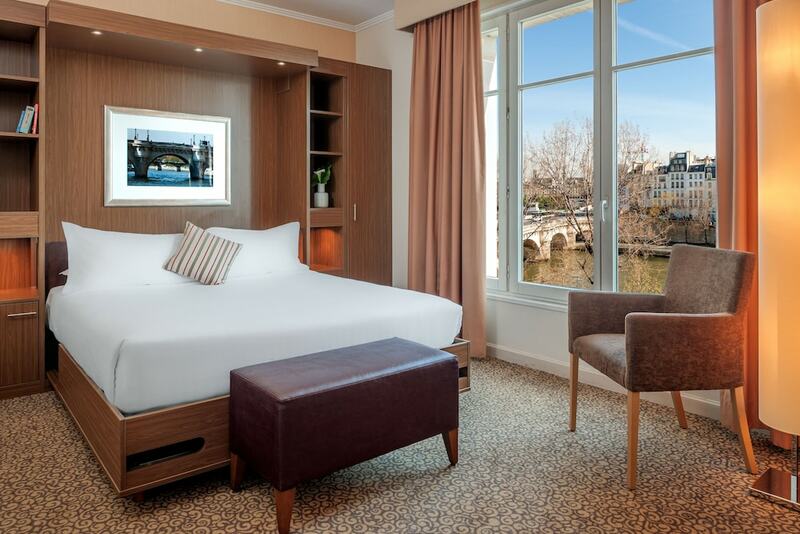 Citadines Apart'hotel Saint-Germain-des-Prés Paris features a 24-hour fitness center, multilingual staff, and laundry facilities. Wireless Internet access is complimentary. This family-friendly residence also offers dry cleaning/laundry services, a safe deposit box at the front desk, and a television in a common area. Onsite parking is available (surcharge). Recreational amenities at the residence include a 24-hour fitness center.